I’d almost forgotten the wafting perfection that engulfed my home last year. 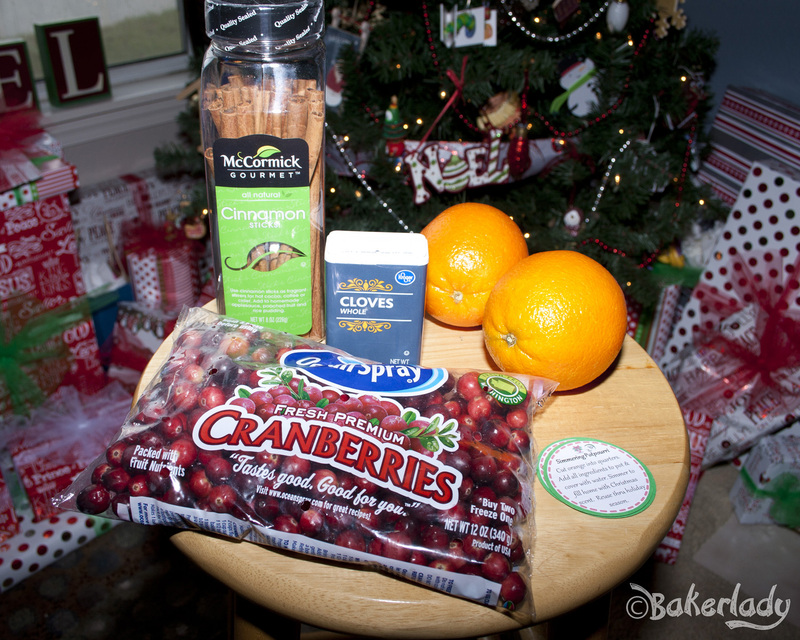 Then, my sister asked me for the recipe for “that stuff with the cranberries and cinnamon” I gave out as gifts last year. I took pictures and everything, but then forgot to get it shared with you! What kind of crazy world is this? Thank my sister Jessica for reminding me of this recipe when guests come to your home and start raving about how glorious it smells. Start with some oranges, cinnamon sticks (did you know you can get these at Dollar Tree? 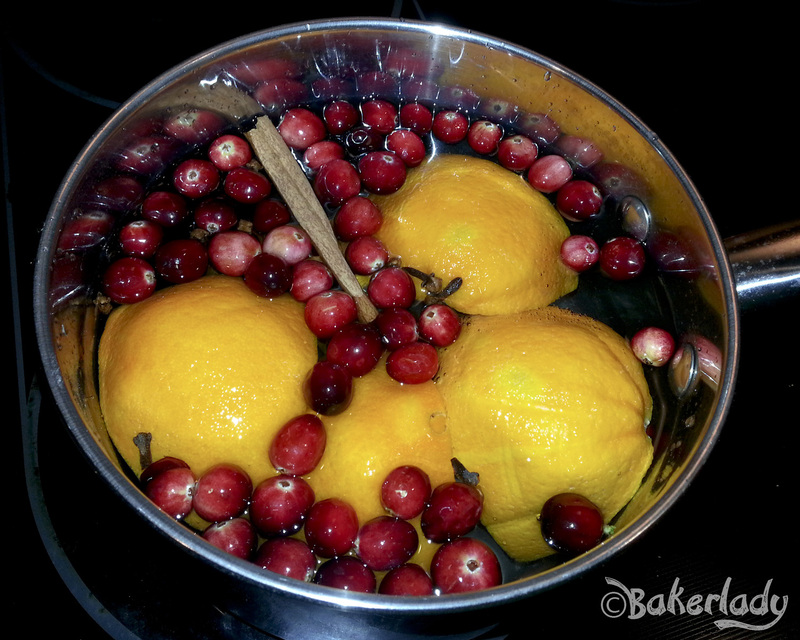 ), cranberries and whole cloves. Get some helpers! This is a great family activity for a brisk fall/winter day! 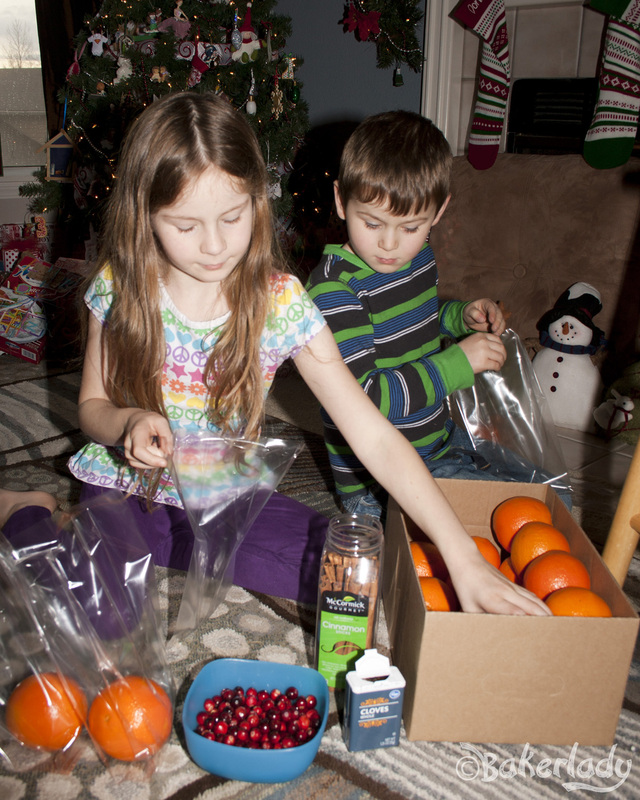 My kids loved helping me assemble the little bags! 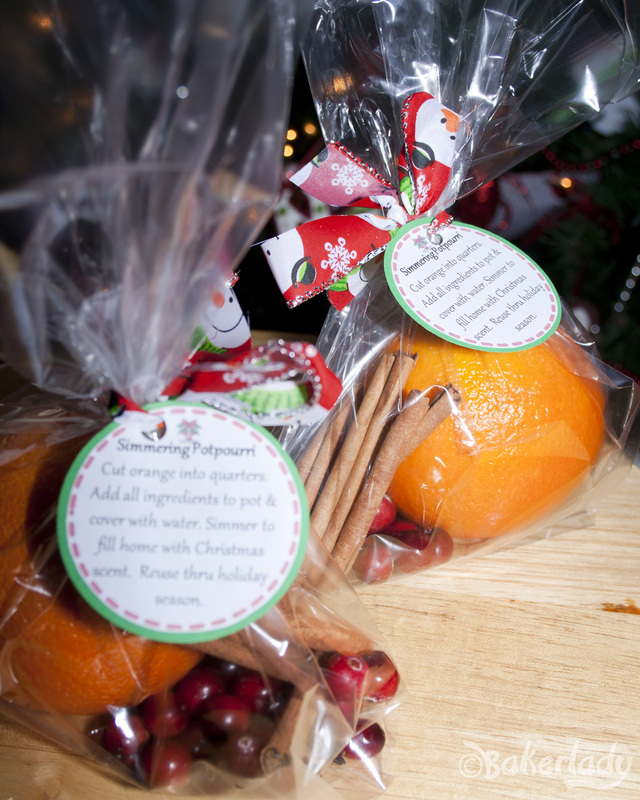 Put the ingredients into some little craft bags, print off some cutesy gift tags, tie with a festive ribbon and BAM! Neighborhood/Mom’s Group/Hostess/Teacher gifts done! Save some ingredients for yourself to throw on the stove! You can just keep covering the ingredients with water and reusing it until it resembles nothing at all. It’ll still smell great! I printed my gift tags and used a 2 inch punch to cut them out. I also punched out 2 1/4 inch rounds from green construction paper and then glued the two rounds together to make the gift tag.